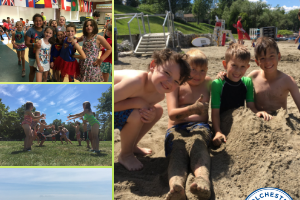 Winter Playground | Habitat | Kids VT - small people, big ideas! When snow falls, spirits rise at the Mezitts' Richmond home. The family of four loves skiing, snowboarding, snowshoeing and snowskating — essentially skateboarding on snow. And they don't have to leave home for much of their outdoor fun. "We have four acres of land, and it's kind of a winter wonderland when there's snow on the ground," says mom Cara. During the last two winters, she and dad Brian have built an igloo for their two boys — Will, 7, and Cullen, 5. Last year, they added a snow cave and a 100-foot-long luge track with five banked turns. The Mezitts' terrain-park tradition started on a snowy day when their sons' plastic snow-brick molds caught Brian's eye. "He's a mechanical engineer, so he builds things," Cara says. He made snow bricks and lined them up in a horseshoe shape. With the boys' help, he added layers, leaning the bricks toward the middle so the final product was shaped like a beehive. It stood about 4-and-a-half feet tall. A fallen tree in the woods behind the house inspired the snow cave. Brian laid pine branches against it, and the boys played inside. When snow fell, it became a cozy hideaway where the family sipped hot chocolate together. 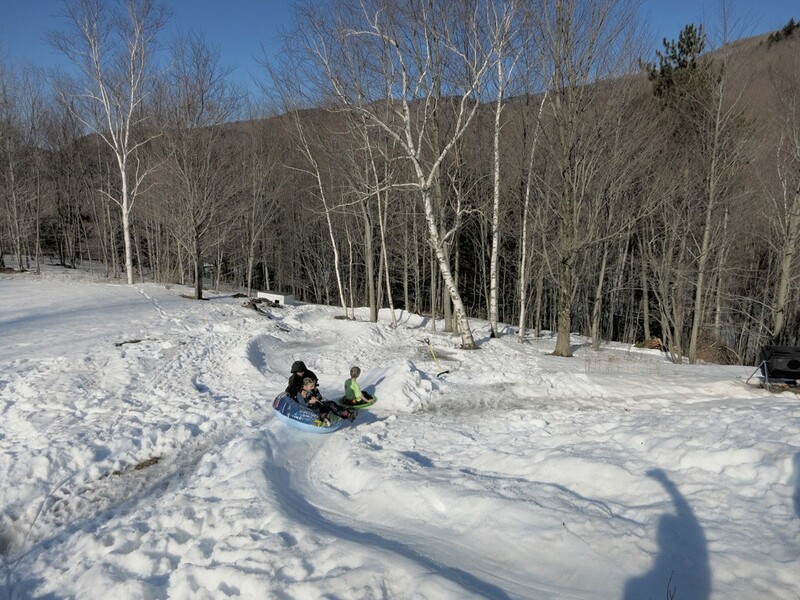 The luge track, on a slope in their yard, was built entirely out of packed snow. "I have a blast out there, too," Cara says, noting that she had a hard time getting her sons to come in at night that winter. "They do the luge track with headlamps on," she says. 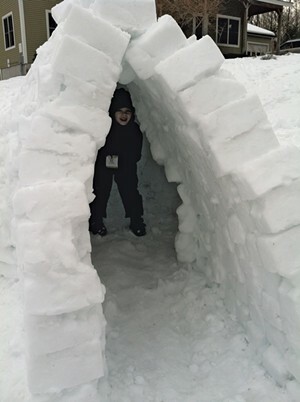 When building an igloo, all you need is a snow-brick mold and good, packable snow. "It's got to be 'snowman snow'," Cara says. "Start small, because you don't want a huge structure falling on you." Want to make a knockout snow creation? Sometimes all it takes is enthusiasm. When the first snow fell in early November, it measured no more than 2 inches, but Will and Cullen built a 4-foot-tall snowman. "They rolled every inch of snow off the lawn they could," says their mother.